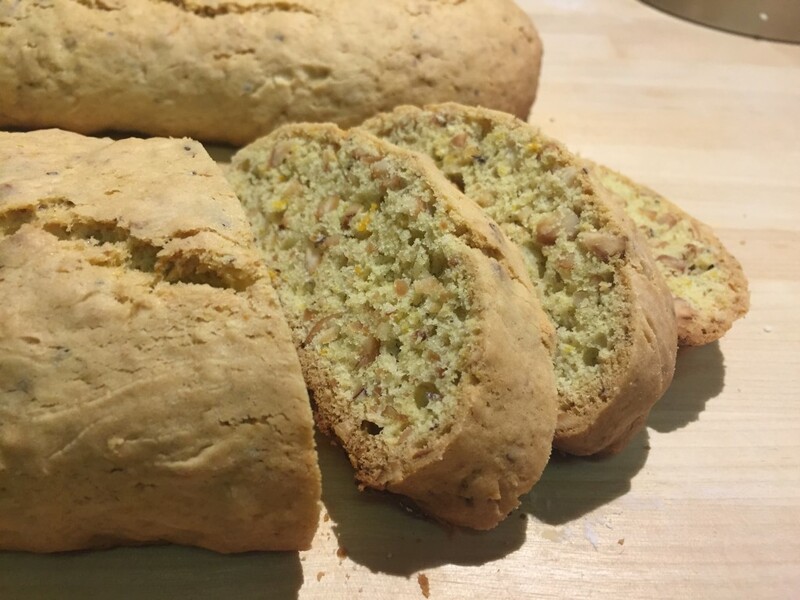 My friend Gail recently recommended this wonderful recipe and this weekend I finally had the chance to make it myself. 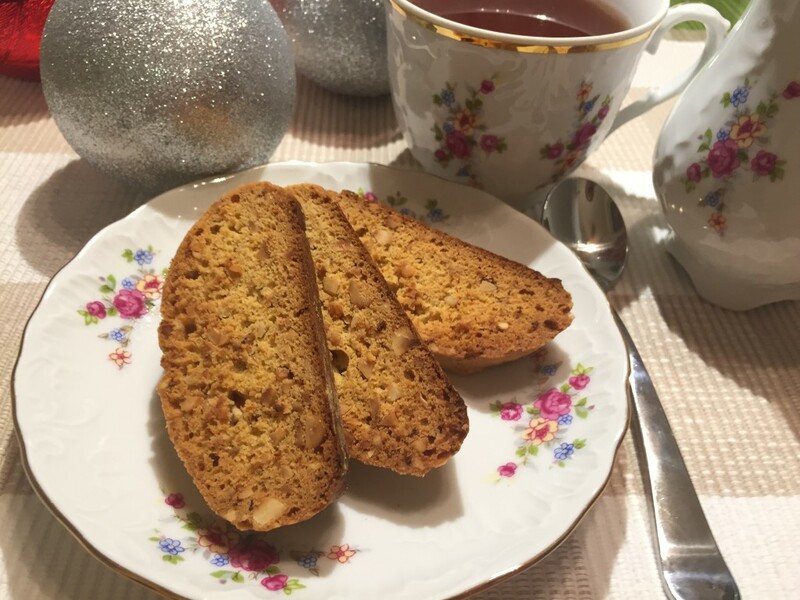 The biscotti came out so delicious that I had share some of them with my neighbors and friends. 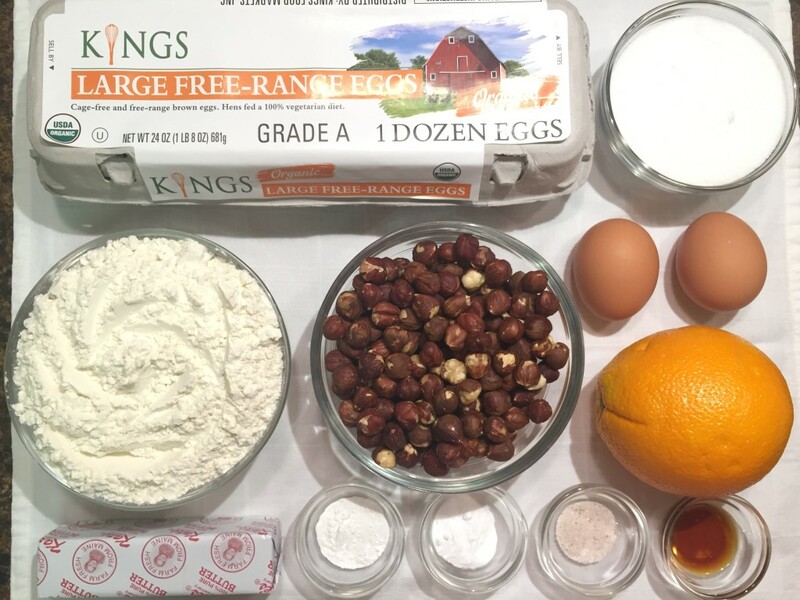 This is a great recipe for the Holidays and a quick snack to have in the evening with tea. 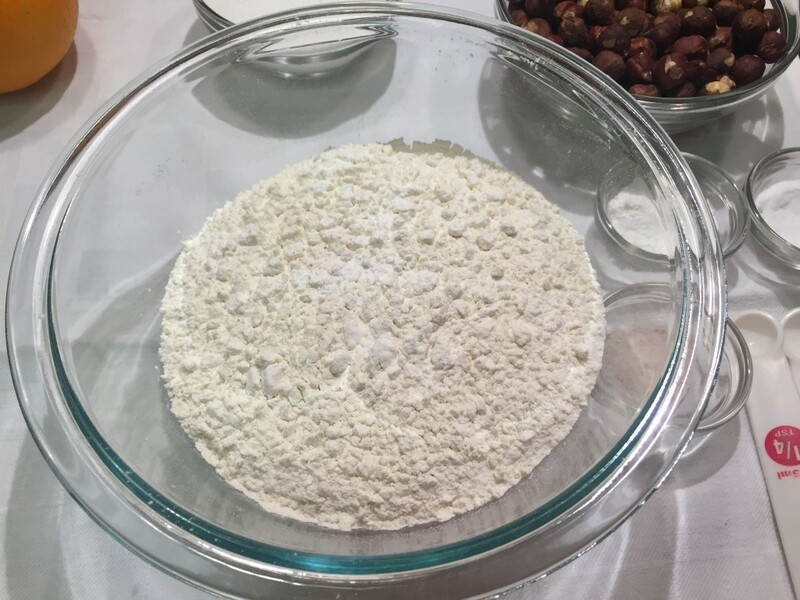 Sift together flour, baking soda, baking powder, and salt; set aside. 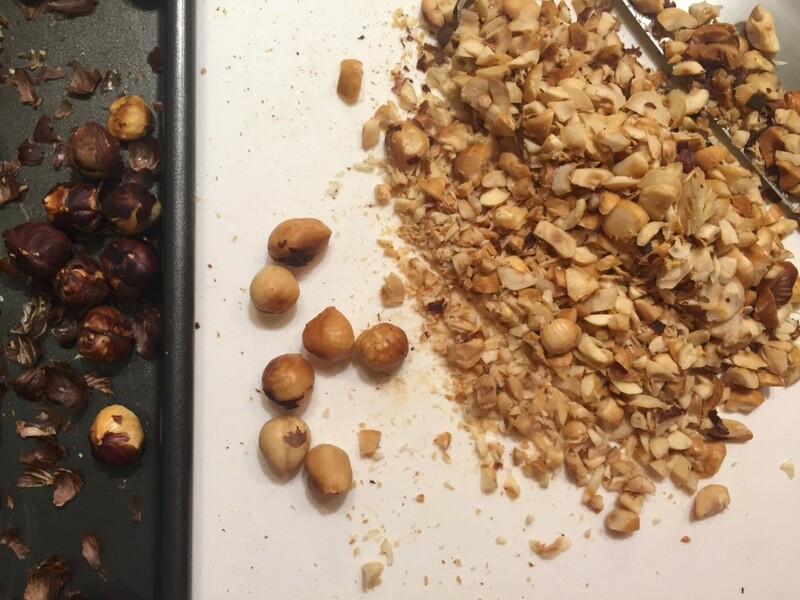 carefully as nuts tend to burn easily. 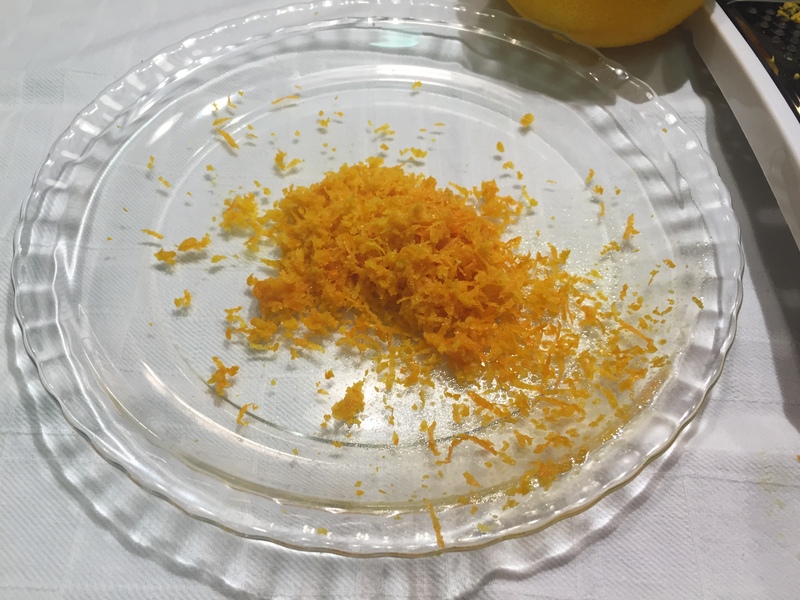 Grate 1 tablespoon of a fresh orange. 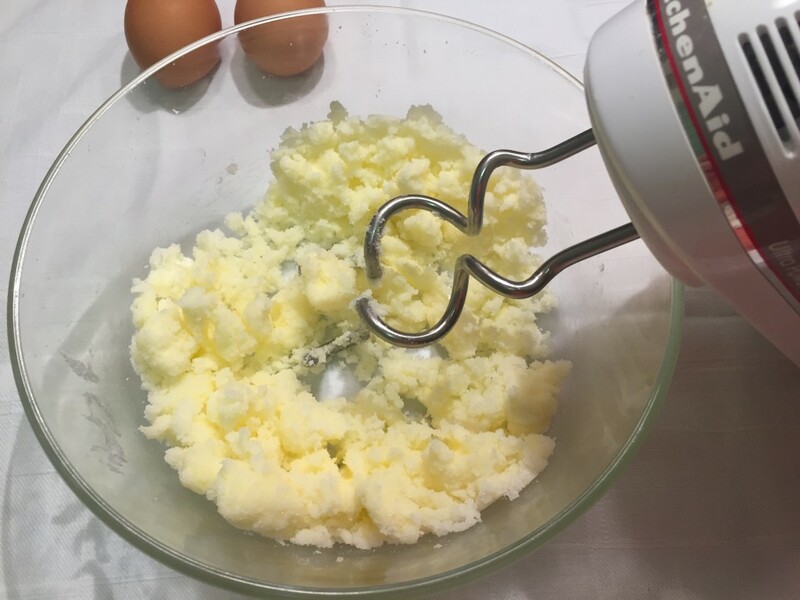 In a mixer cream butter and sugar till soft and fluffy, add eggs, vanilla, orange zest, flour, and nuts. 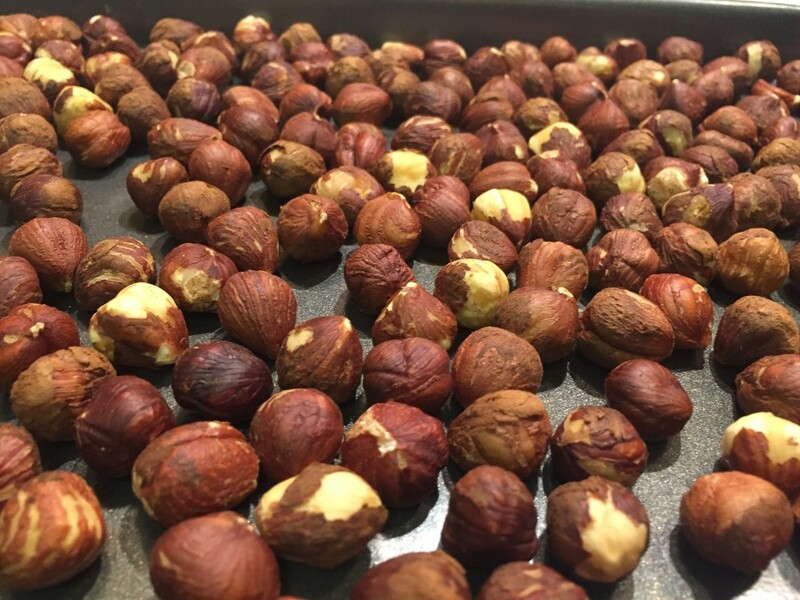 Make sure to remove the skin from the hazelnuts and chop them coarsely before mixing with the dough. 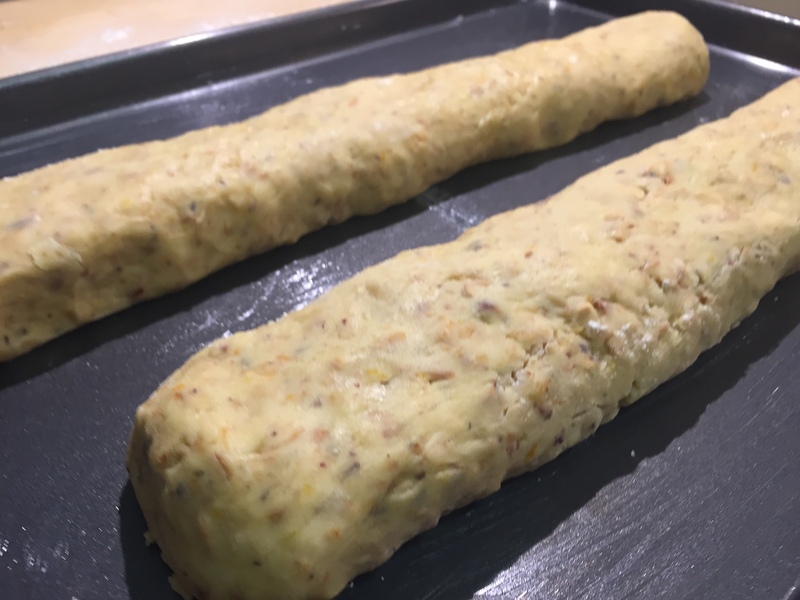 Mix everything well to create the dough and make 2 even portions about 12 inches long, put them on a baking sheet and bake in an oven on 350 F heat for 25 minutes or until golden (but remember not to let them burn). Remove the logs from the oven and let them cool for a few minutes. Cut them with a serrated knife on diagonal into 1/2 inch pieces. You should have 18-20 pieces per log. 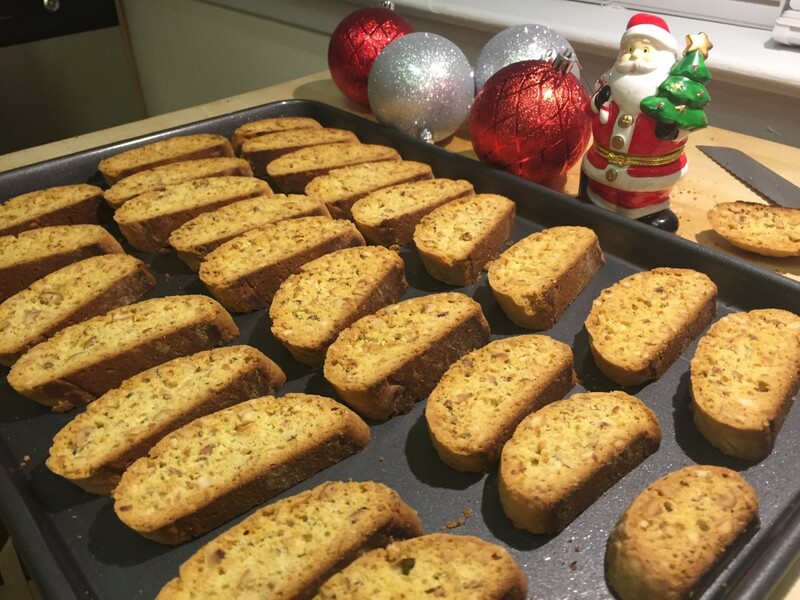 Place the biscotti, cut side down on a cookie sheet and bake each side for 7 minutes. Cool the biscotti and serve with your favorite beverage or place in a cookie tin and store for a couple of weeks for future use. These can also make for a perfect holiday gift for your friends, family or neighbors. Enjoy!